2. Smart Living Handbook: City of Cape Town NEW! The updated Smart Living Handbook has a new design and exciting new cover – a colourful cartoon done by Chip Snaddon which encourages forward thinking about Cape Town’s future as a sustainable city. The handbook also has an additional 30 pages of new and updated information. We thank the Environmental Resources Management Directorate of the City of Cape Town for producing this invaluable resource and making it freely available to teachers and learners alike. 3. 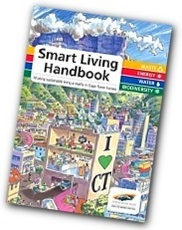 Smart Living Handbook Activity Sheets: City of Cape Town NEW!